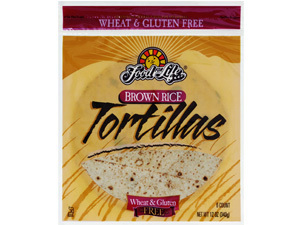 Independent laboratory tests scheduled by Gluten Free Watchdog, have shown that both Food For Life brown rice tortillas & Food For Life Millet bread have tested above the federally suggested safety zone of 20 parts per million (ppm), and far above the Celiac Sprue Associations suggested safety zone of non-detectable at 5ppm. Without a gluten free labeling law it is important that, we as a community, work together to maintain our health and safety while maintaining a gluten free diet. When regulation is unavailable, it is up to consumers to band together. It is important that we, as gluten free consumers, think about where we spend our money and about what we are monetarily supporting. Additionally, we can spend our money supporting new watchdog programs that are popping up throughout the United States as a way of keeping food manufacturers in check. Be sure to show your support in any way possible. Your support matters!